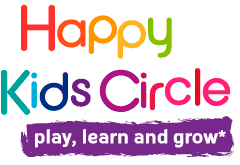 1° Mornings from 9h - 12h30 Happy Kids Circle workshops. 2° Afternoons from 14h30 - 16h30 : LEGO workshops in English with Ben from PlayWell TEKnologies. Children from the age of 5. 3° Full day from 9h - 16h30 —A combination of Happy Kids Circle in the morning or LEGO in the afternoon, in English. The children bring a packed lunch.